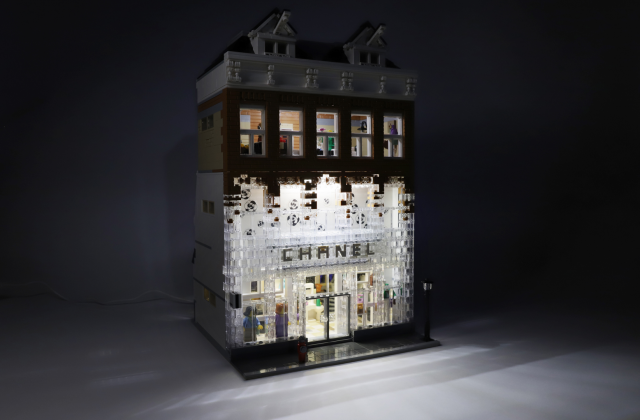 If you visit the Chanel boutique in Amsterdam, you will find that the façade of Crystal Houses Amsterdam uses glass bricks to recreate the city’s traditional architectural style. 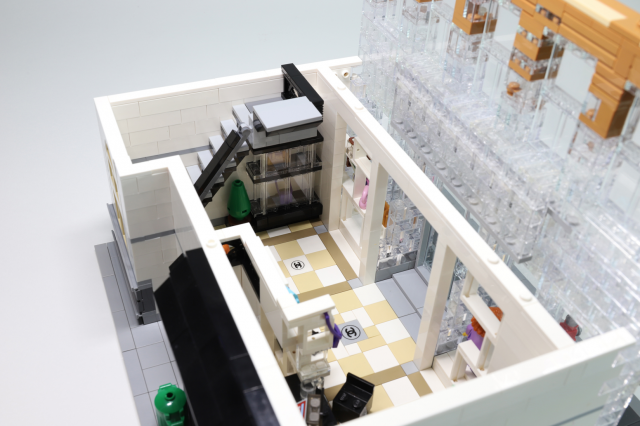 The transition from bricks to glass has been elegantly captured in LEGO by builder YellowBox. 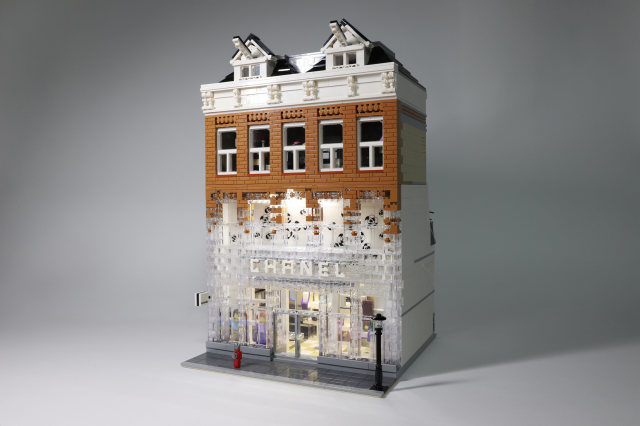 This is a striking creation and, although there was some controversy over the actual building, the LEGO version works beautifully. 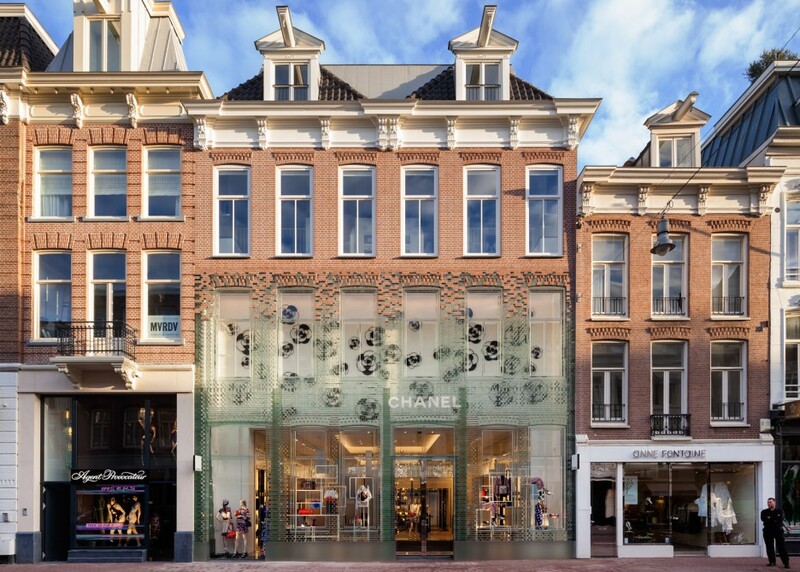 This is not just a façade but a modular building with three floors of the boutique shopping where fashionistas can plan their spring attire. Once darkness falls, the façade can once more show off it’s best features under the glow of the interior lighting. That is…bizarre. I suspect how it’s liked/hated depends a lot on whether you’re asking the people who work inside the building, or pretty much anyone else who lives/works in the area. A few miles from where I live there’s a mall with a Verizon phone store, which is clad in white with red stripes of varied length and width. It doesn’t seem that weird until you drive past at night and all the red bits are glowing. 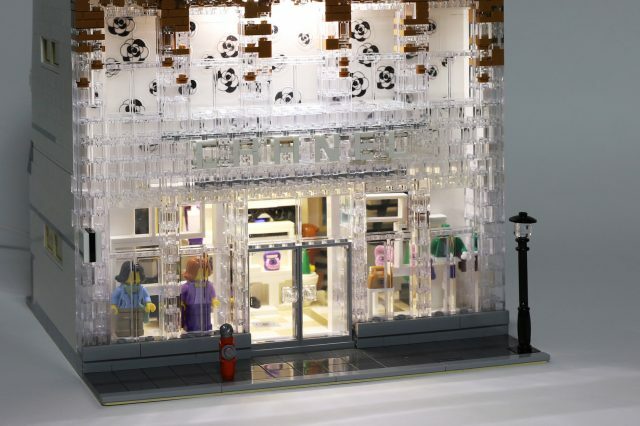 I’m not the one who gets exited when I see lego buildings. But this one IS truly amazing and well built.. 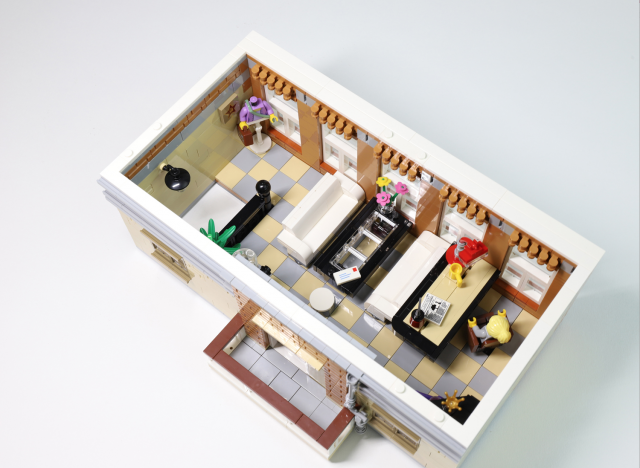 I could defenitly have one like this at home.